Softcover book, 40 PAGES long. Never pay for restaurant horchatas again! This is THE cookbook of Horchatas,AND ONLY HORCHATAS Learn to make horchatas easily and inexpensively with this one of a kind cookbook. That's OVER 80 recipes. 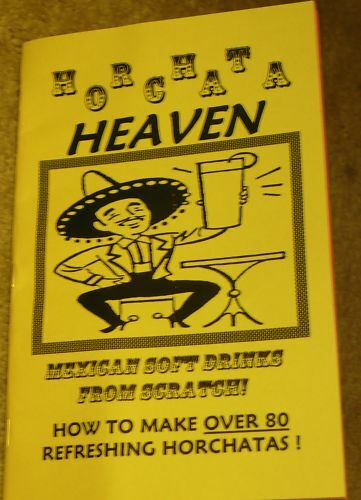 This is the only book you'll ever need to become an expert at horchata making.